Wooo-weee! I have been crafting like a madwoman all week! But that has not been the case this week! I've been up to my eyeballs in acrylic paint and polymer clay, and it has been a hoot! I finally started working on a project idea I found on good ol' Pinterest, and I have to tell you...I couldn't be more tickled by how it turned out. First, you'll need a large frame. I raided the thrift stores this week and found all kinds of treasures. (The porcelain squirrels, the clown doll, and the candy dish shaped like a trout STAYED on the shelves and IN the store, despite my children's pleadings.) I purchased several frames to refurbish. One did not have any glass in it, which was perfect! It was an ugly, blue-gray color, and it was framing a painting of a vase filled with ugly, blue-gray flowers. I paid one dollar for it and brought it home to give it some "desert turquoise" love! 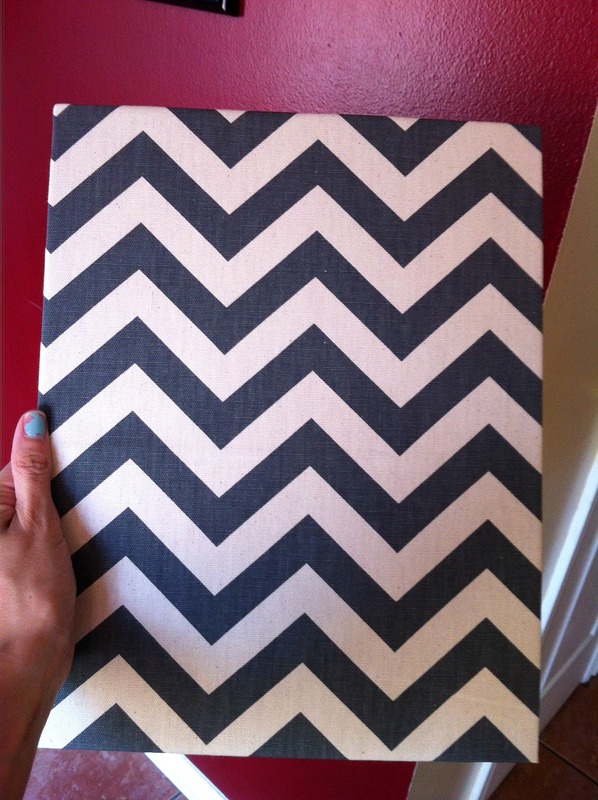 I went to Hobby Lobby and found the most delightful chevron-patterned fabric. 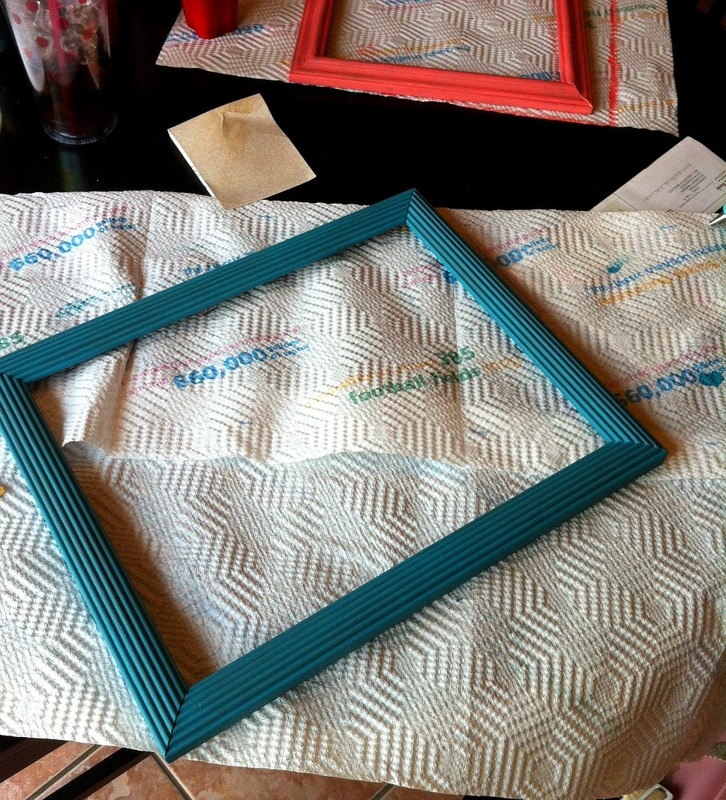 I wrapped the fabric around the frame's cardboard backing, securing it with my trusty hot glue gun. 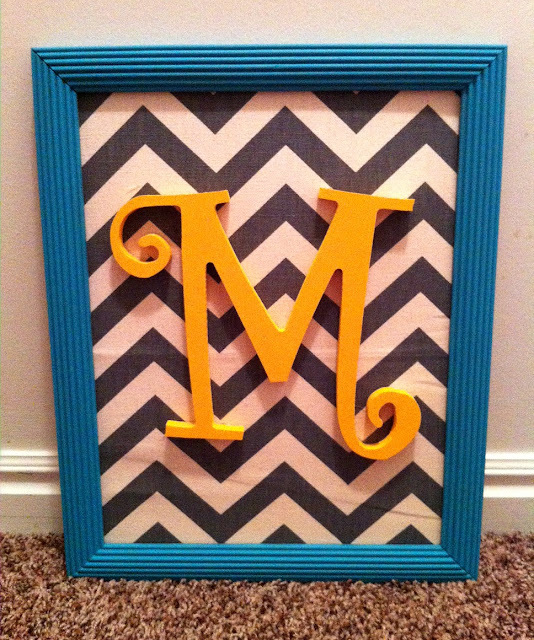 I also purchased a wooden letter "M" at Hobby Lobby, to be our monogram. (My husband would argue that the "M" stands for MADNESS...since that is what my crafting has been lately!) I painted the letter "M" a mustard-yellow color. (The kind of color that makes my heart happy.) When it was dry, I used my trusty hot glue gun (I cannot talk about my glue gun without calling it "trusty") to attach the "M" to my chevron cardboard piece. Then, I popped it back into the frame. Cute, cute, cute! Such an easy project to work on, and very inexpensive too. And hey!...perhaps the "M" could stand for "MAKE something this weekend," or "MAKE this now!" or maybe "make out now"? HA HA! THAT is why I love you, cheeky bugger! JP!!! Do it and then show me pictures of your finished product! (Maybe avoid using "P" for the bathroom because it may connotate other P words. (Like..."poop"???) HA HA HA HA!!! I'm kidding, I'm kidding. Thanks for always stopping by and commenting! I LOVE this! 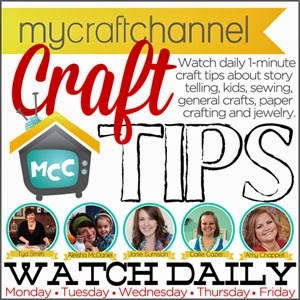 I will have to come back later today and feature you on my craft blog! I have tons of fabric that would look great as a background! LOVE! Thank you so much, Jenny! You are too kind! I'm glad you liked my project. It was very fun to do! I appreciate your support and follow. My way to get through this stage of life is a Dr. Pepper and yeah fries are good too but they have to be salty enough with lots of ketchup that has black pepper in the middle! Hi Regina! Your comment brightened my day...especially the part about the Dr. P and the fries!! HA HA! You're a hoot! 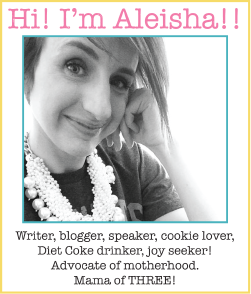 Thank you so much for stopping by my blog and for showing your support by following me. Just wanted you to know how much I appreciate it. Come back again! That is so cute! I love the bright colors and the chevron print is adorable. Great job! Thanks so much for the kind comment, pretty lady!!!!! So cute! And like you, I'm either all or nothing. Crazy crafter or none at all. I'm in a "none at all" phase until the kids get back to school. Then I'm hoping to maybe start sewing again. . . or something. Hope you have a blessed week! Thanks for stopping by the S&R hop! Thank you so much, Michelle! I always look forward to linking up to your hop. I appreciate your kindness and love. You've always been really great to me and I look forward to your comments! Have a wonderful week too! Love this great idea. I have a new blog Topiary Rose. I am going to follow you. THANKS a whole bunch for the follow, Pat! I really appreciate it. I also appreciate your kind comment. Hope you have a lovely week! Oh my goodness, Lori, thanks for the sweet comment!!! Glad you liked my project. (I kind of love it too!) I'm always grateful when people stop by and comment, so THANK YOU! Hope you have a happy week! be possible to derive since lenders provide the cash no matter borrowers' credit ratings. A Little Bit Of Random Never Hurt Anyone! Mama Leisha's First Ever "Wordless Wednesday?!"